Fanatic viciousness crossed all known limits in Afghanistan this week, as two leading militant groups fighting for their so-called ‘noble ideologies’ against the Kabul government killed over 100 people in cold blood; people who were going about their daily life. First, it was the so-called Islamic State group that stormed the compound of the British charity Save the Children in an urban neighbourhood in eastern Jalalabad city. In this country where women and children in particular direly need a helping hand, such an appalling act of terror can never be justified under any pretext. Frontline humanitarian groups such as the International Committee of the Red Cross (ICRC) have already reduced their activities in the most vulnerable corners of the war-ravaged country as a result of similar targeted attacks aimed at aid groups. Now, with Save the Children also putting its operations on hold, those most in need are set to suffer the most. Many lives were lost, including three aid workers of the charity, in this reckless assault on Wednesday January 24 by the violent group. This was followed by another, and more gruesome massacre in the heart of the capital Kabul, by the Taliban, which is the main rebel group operating in the area on Saturday January 27. Undermining the International Humanitarian Law, and honestly, all human values, a militant driving an improvised ambulance packed with explosives blew himself close to the Ministry of Interior and the main Jamhoriat Public Hospital during the afternoon rush hour, causing another carnage in the devastated capital. Hours after the brazen Taliban-claimed attack, public hospitals in the city were overwhelmed with wounded victims with missing limbs, and their traumatised friends and relatives eager to know about their loved ones. The desperate sighs and cries of so many anxious mothers and fathers gripped by the shock, made life stop in the surroundings of public hospitals. The unending spate of such inhumane attacks have crushed all established rules of war, while there continues to be no end in sight. 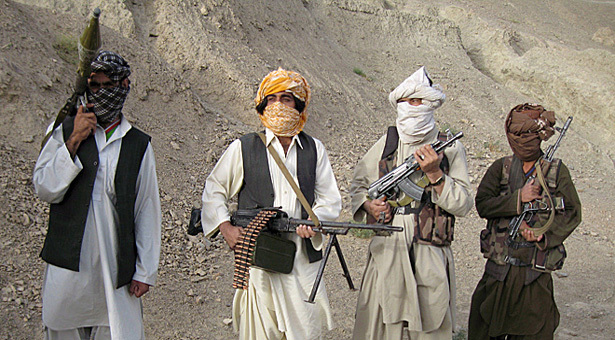 The helpless Afghan government has once again pointed fingers towards its immediate neighbouring Pakistan for continuing to harbour and support the fanatic militants. Human dignity seems to have lost its value in this strategic tussle for upper hand in a battle that has no winners, only innocent men, women and children as the ultimate sacrifice.